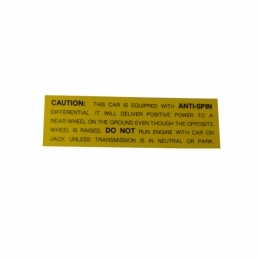 Anti-spin decal. Replaces original GM part #587514. Top quality, official GM reproduction, MADE IN THE USA.